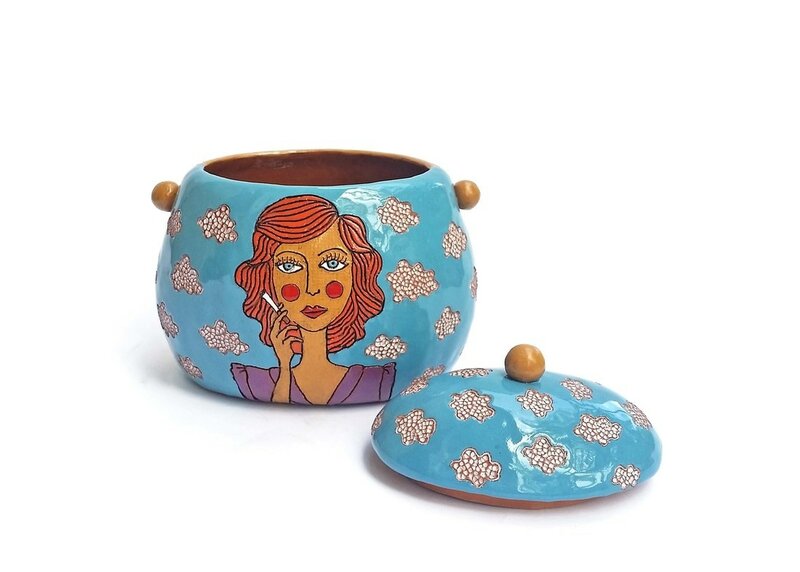 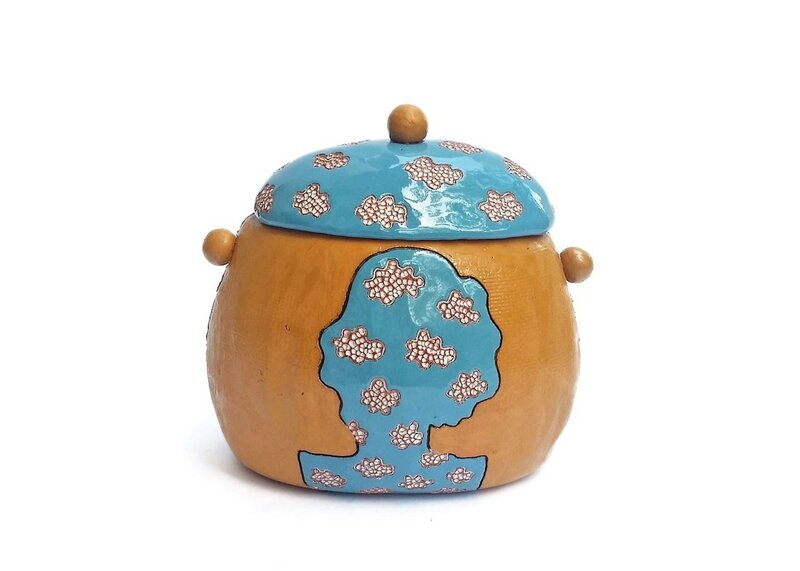 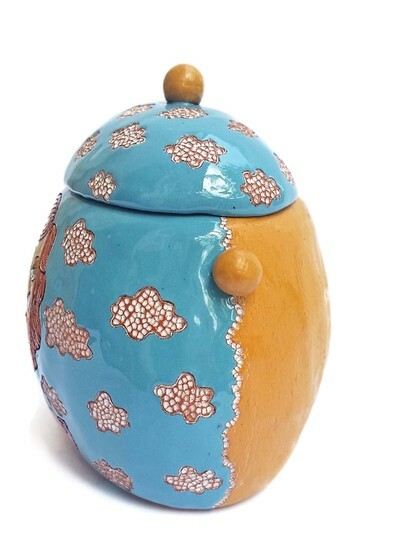 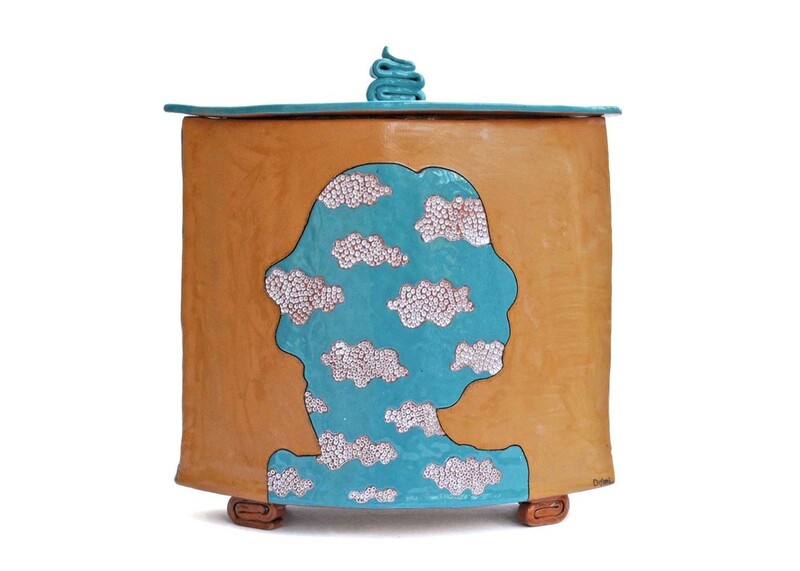 The design of this ceramic box is inspired by a surrealist artist Rene Magritte - the idea merged perfectly ​with one of my favourite patterns and colour combinations. 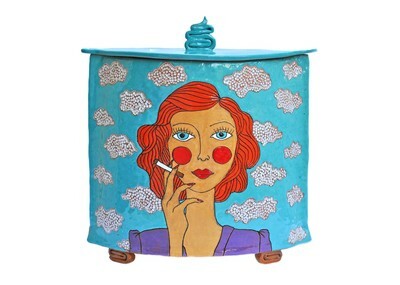 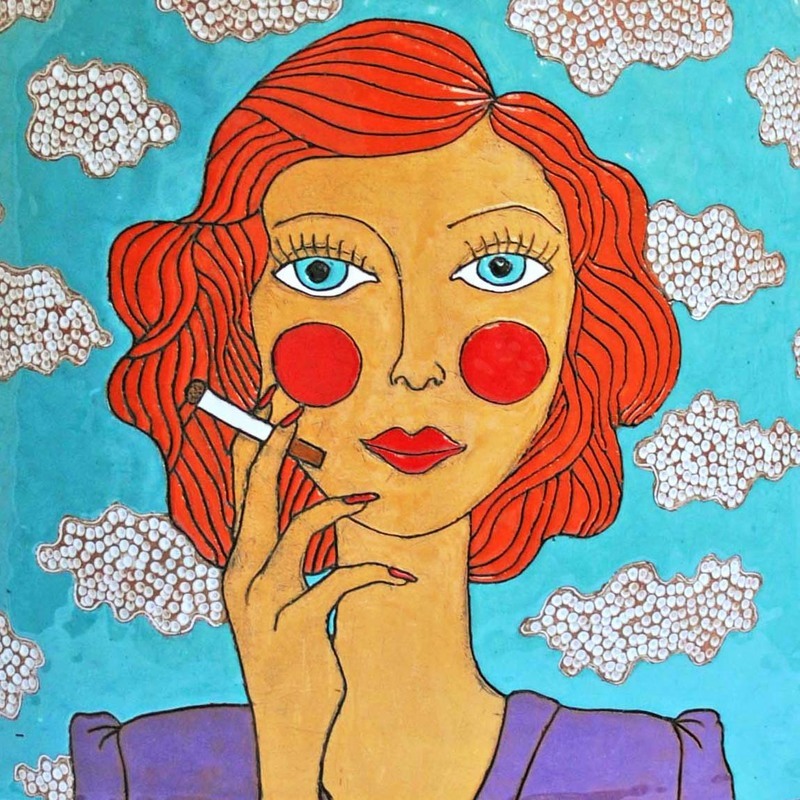 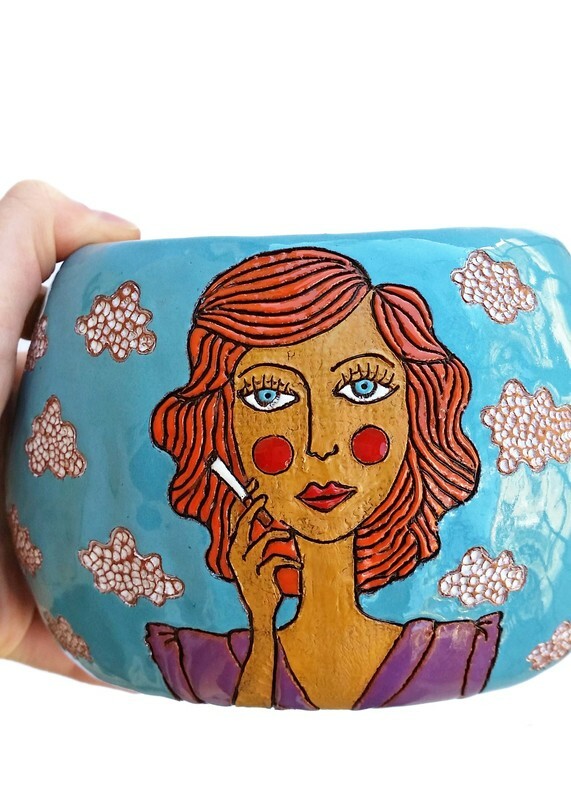 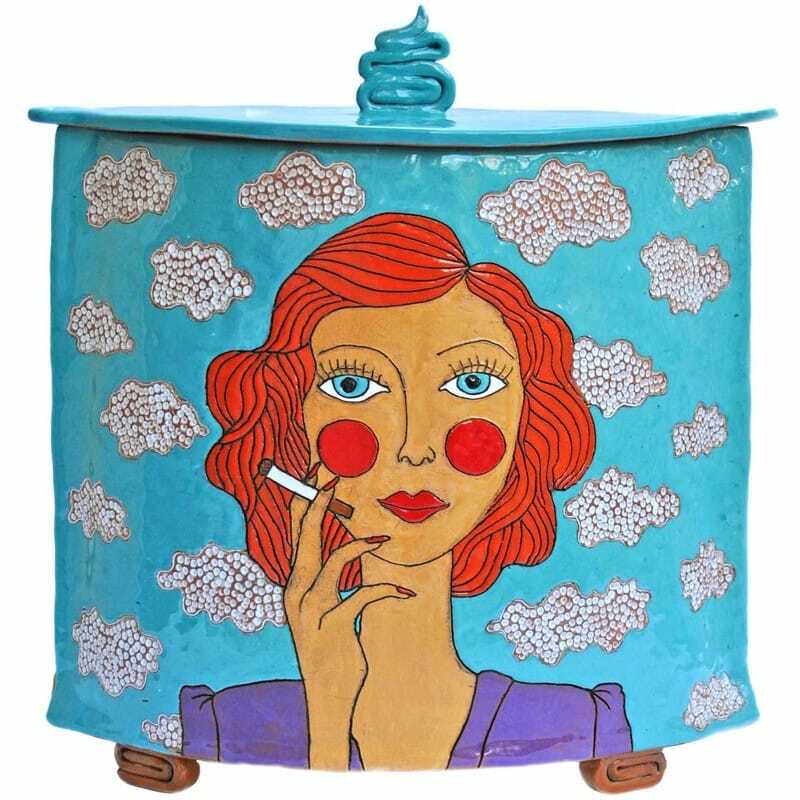 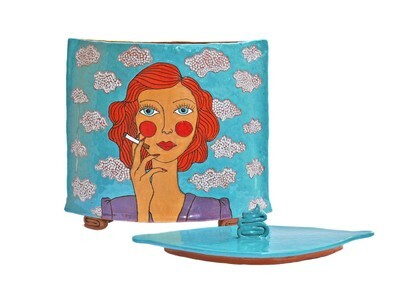 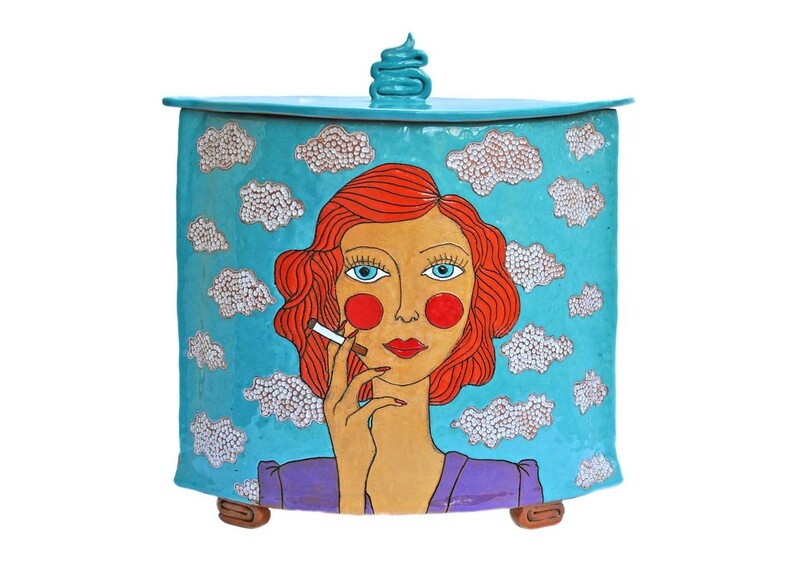 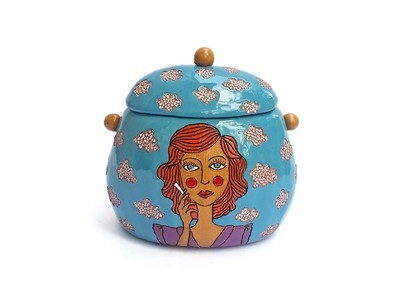 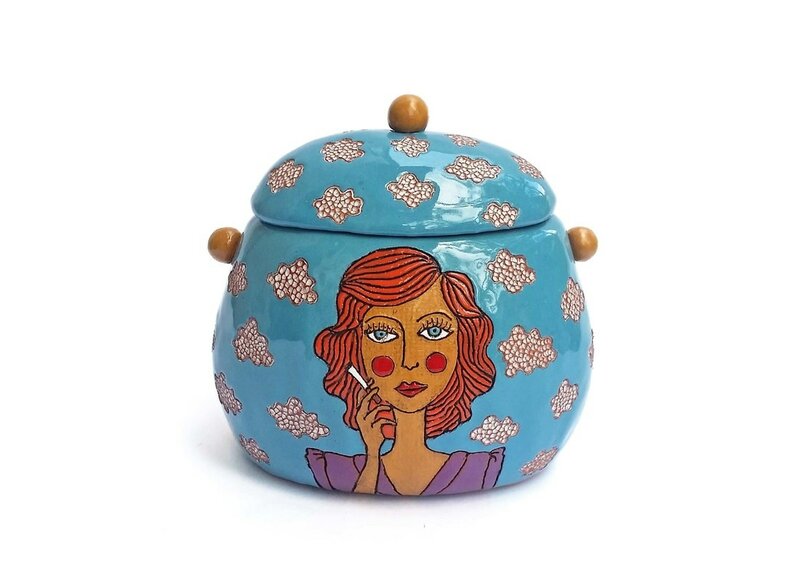 Red-haired lady in retro look smoking a cigarette on one side of the bowl and a silhouette of her surrounded by cloud pattern on the other. 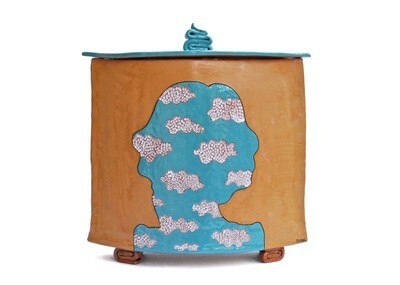 Large bowl stands approximately 34 cm (13.4 in) tall, the small one - 15 cm (6 in) tall.